American Shuttle LLC is dedicated to providing you VIP service, every time, making your journey from point A to point B a pleasurable one. American Shuttle LLC is located in Monterey Park, California and services all of the southern California airports and neighborhoods. We stage out of long beach airport and other locations such as LAX, Ontario, Grey Hound stations, hospitals, and hotels. Starting in 1993, our company has nearly 20 years of experience in making sure your ride is enjoyable and that you reach your destination on time. 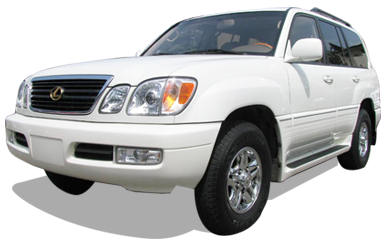 SUVs, (Lexus), cars, and other methods of transportation to ensure you are comfortable while traveling. We offer full scale VIP service and pickup/drop offs at all major airports, hotels, bus and transport stations, and can even arrange to bring you door to door.